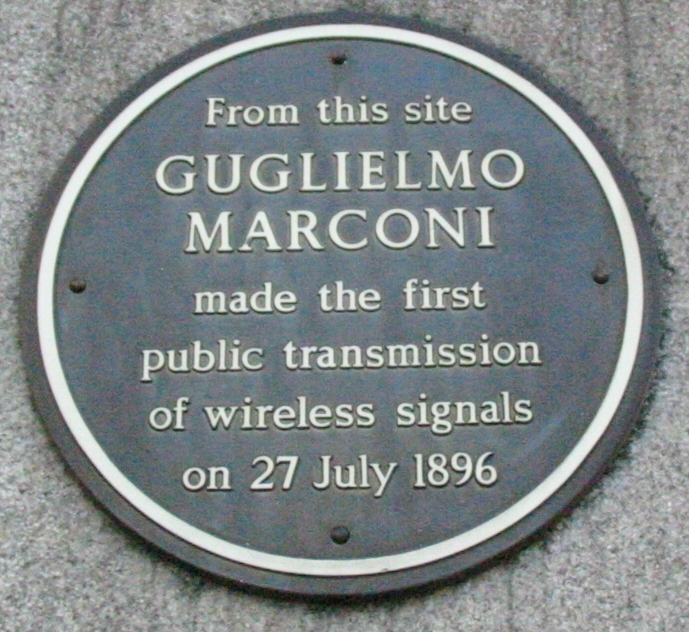 Guglielmo Marconi gave the first public transmission of wireless signals in England 1896. The invention of communication by radio waves had a long history with many scientists contributing. James Clerk Maxwell showed mathematically that electromagnetic waves could propagate through free space. Heinrich Rudolf Hertz noticed a sparking phenomenon and with experiments (1887-1888) was able to demonstrate the existence of electromagnetic waves in an experiment confirming Maxwell's theory of electromagnetism. This discovery became known as "Hertzian waves" (radio waves). British physicist Oliver Lodge transmitted and received "Hertzian waves" at distances up to 50 yards. Guglielmo Marconi began pursuing the idea of building a wireless telegraphy system based on Hertzian waves (radio). Marconi gained a patent on the system in 1896. 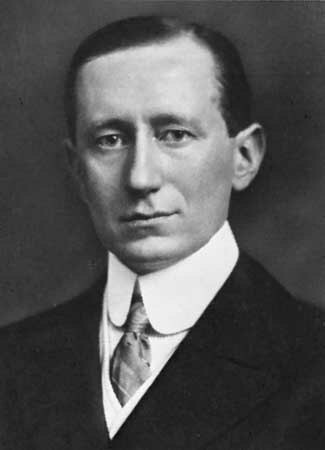 Marconi was born in Bologna on 25 April 1874, his Irish mother, Annie Jameson was the daughter of Andrew Jameson of Daphne Castle in County Wexford, Ireland and granddaughter of John Jameson, founder of whiskey distillers Jameson & Sons. Between the ages of two and six Marconi was brought up by his mother in the English town of Bedford. In Italy he was able to transmit signals over a hill, a distance of approximately 1.5 miles. Finding little interest or appreciation for his work in Italy, Marconi traveled to London in early 1896 at the age of 21, accompanied by his mother, to seek support for his work. Marconi also spoke fluent English. 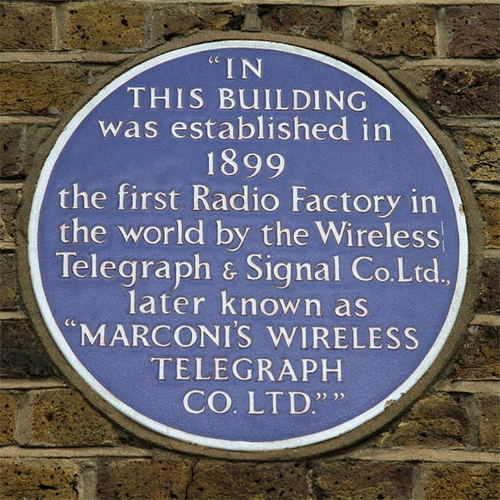 Marconi gave his first public transmission of wireless signals at the now BT Centre in 1896. On 13 May 1897 Marconi sent the world's first ever wireless communication over open sea. The experiment witnessed a message transversed over the Bristol Channel from Flat Holm Island to Lavernock Point in Penarth, a distance of 3.7 miles. The message read "Are you ready". The English channel was crossed on 27 March 1899, from Wimereux, France to South Foreland Lighthouse, England. 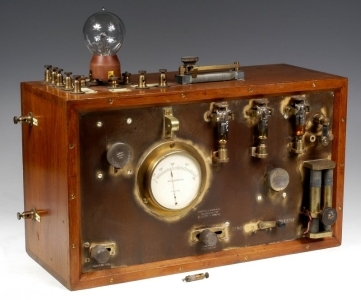 Marconi established The Wireless Telegraph & Signal Company which became the Marconi Company. On 17 December 1902, a transmission from the Marconi station in Glace Bay, Nova Scotia, Canada, became the world's first radio message to cross the Atlantic.